More Hoodia Scams: No Active Ingredient? Home » Scams » More Hoodia Scams: No Active Ingredient? Still thinking of giving Hoodia a try to suppress your appetite and lose weight? I reviewed Hoodia long ago, and pointed out the main issues with it; the lack of clinical proof that it “worked”, and the fact that the worldwide demand for Hoodia outstrips supply—which means, of course, that – as of this writing – most Hoodia weight loss products can’t possibly contain the Hoodia they claim to (your honor, I rest my case). The U.S. Federal Trade Commission has acted against manufacturers of Hoodia-based products in the past, so the fact that this action occurred isn’t exactly surprising. Well, it never hurts to have a reminder of just how low some people will stoop to make a dollar. A short while back we launched our video section. 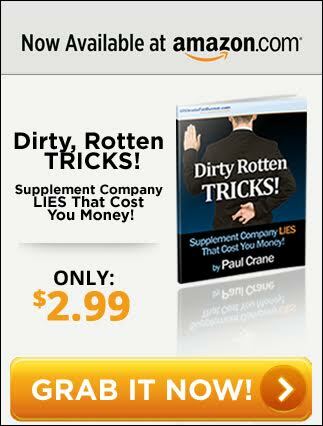 In this section you’ll find a series of videos called “Dirty Rotten Tricks; Supplement Company Lies That Cost YOU Money!” There are 3 videos in that series that cover testimonials, and why you can’t trust a single one no matter where it comes from, because they are incredibly easy to fabricate, even on reputable web sites. These products, “Dex L10” and “Dex L10 Complete”, are perfect to demonstrate this point. For example, if you visit Amazon.com and investigate Dex L10, you’ll find that at the time of this writing, there are 13 customer reviews. Of those reviews, 7 are 4 or 5 stars, and 6 are a single star. The negative comments may be genuine, since there’s no active ingredient in these products to cause the advertised effect. There is always a possibility, of course, that competitors are posting negative comments to hurt sales, regardless of the absence of active ingredient. The positive comments are either completely fabricated (see video #5, Part 1 in the Dirty Rotten Tricks series for more details on how this is done), or they are being posted by people who are either exaggerating the effects of the product to validate their purchase, or they are experiencing the “placebo effect.” Either way, these comments are a fantastic demonstration of why testimonials—even ones that may be sincere and genuine, cannot be trusted. So there’s lots to learn from revisiting the old “hoodia scam” topic, especially in this case. Skepticism, especially when it pertains to weight loss products, will never lead you astray.